As we approach the release of Mortal Kombat 11 in just a month’s time, developer Netherrealm continues to trickle out new fighter reveals. At Chicago’s C2E2 event this week, the studio revealed two at once: Noob Saibot and Shang Tsung. 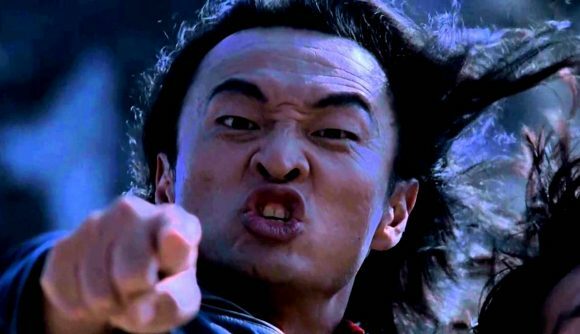 It was also announced that not only would Shang Tsung be MK11’s first DLC fighter, he’s actually being voiced by his actor from the 1995 live-action Mortal Kombat movie. Veteran actor Cary-Hiroyuki Tagawa played Shang Tsung in the original ’90s movie, the one directed by a pre-Resident Evil franchise Paul WS Anderson. He reprised the role for a couple of episodes in the 2013 web-series Mortal Kombat: Legacy, but Mortal Kombat 11 will be his first time voicing the character in the videogame series itself. Shang Tsung will be the first proper paid DLC fighter released for MK11 after the game’s release on April 23. The other major villain of the series, Shao Kahn, will also be DLC – however, he’s a pre-order bonus instead, although presumably anyone who hasn’t pre-ordered will be able to buy him separately. As Shang Tsung is a DLC fighter, presumably he will not appear (or not be a major character) in the main Mortal Kombat 11 story campaign. According to Netherrealm he will, however, make an appearance in the game as the guardian of the Krypt – the first-person adventure returning from Mortal Kombat X, where players can spend coins earned from matches on various bonuses. Also revealed at the C2E2 event was creepy fighter Noob Saibot, whose character trailer you can see above – which goes a lot better for him than Kotal Khan’s did earlier this week. The wraith like “brother” of Sub-Zero has a range of devastating moves, including a teleport, magic blades, and the ability to spawn a shadow version of himself to murder his opponent. He’s also got one of more disgusting Fatalities we’ve ever witnessed. While Noob Saibot will be part of the main MK11 roster when the game launches on April 23, the Mortal Kombat 11 Shang Tsung DLC will appear sometime afterwards. Fun fact about actor Cary-Hiroyuki Tagawa: Mortal Kombat isn’t the only time he’s played a popular character from a major fighting series in its live-action movie – he also played Heihachi in the 2009 Tekken movie.